Which Are You Leading With, Problems or Solutions? | Compendian, Inc. 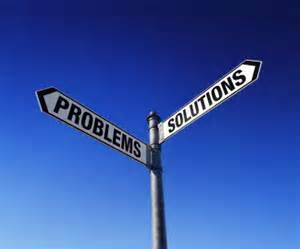 Which Are You Leading With, Problems or Solutions? If I were to go to your website right now, what would I see? Would you be talking about your company and how great you are and what wonderful products and solutions you provide? If I did, then today you are clearly in the majority of websites out there. OK, if I had a call from one of your sales people, would they start by talking about your company and how great it is and what wonderful products and solutions you provide? Would they also start talking about the leading features of your products and what benefits they provide? Again, if so, then you are in the majority of companies whose sales people lead off that way. So, where’s the PROBLEM? Forgive me, but that was such an obvious lead in. Where is the problem? Well, the problem is, if your company is in either or both of those categories, then you are talking about what is important to YOU, rather than what is important to THEM (your prospect/buyer). Most websites (and I’ll admit that mine was the same way until I saw the light only recently) believe that they need to talk about how good they are and what great products and solutions they offer, hoping that the buyer will connect the dots to a problem they have and need to fix. The problem with that scenario is that most buyers aren’t able to do that. 2 + 2 doesn’t always come up to 4 for them. Because we know and understand what we do, we expect that the way we talk about what we do and present it on our websites will enlighten the viewer to come up with the same conclusion. What we are seeing is that they don’t. I can’t tell that the problem I have is one that you solve! They expect YOU to understand THEIR problem. So, what do you think would happen if instead of your websites leading with your solution, you lead with the customer’s problems that you solve? And what if your sales people lead with talking about the same thing? Do you think that would address both of the frustrations they discussed above? I do. According to Sirius Decisions, the #1 inhibitor to a sales person’s success was their inability to communicate their value message in a compelling and confident way. Is it any wonder? If they aren’t anchoring their solution to a buyer’s problem, then they clearly won’t connect with the buyer, because the sales person won’t be able to connect the dots of their solution to the buyer’s problem and discuss value. However, if they provide a clear understanding of what the buyer’s problem is and then get confirmation from the buyer that is, in fact, their problem, they need to get it fixed, can’t fix it themselves and need you to help them fix it, then the sales person will have a much better opportunity to earn their business. By changing your website to lead with the strategic problems you address helps those buyers connect with you more rapidly if they have that problem. It also lets them know they are dealing with a company that understands them. They are more interested in being understood by you, than understanding you. You see, they really don’t care about what your products or solutions are. All they want to know is that you understand what their problem is and you can fix it and deliver their desired outcome. Solutions are only solutions when they fix a problem that needed to be fixed and delivered the desired outcome for the customer. It’s as simple as that. So, if you are part of the Solution leading first category, then you might be losing your audience because they can’t tell that the problem they have, is one you can fix. At least that’s the way I see it, what say you?